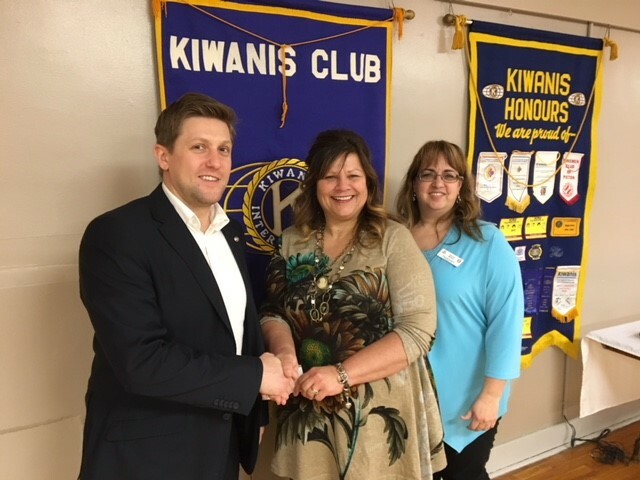 On January 18, 2018 Food for Learning Chair, Lucille Kyle and Coordinator, Kellie Brace attended a meeting of the Trenton Kiwanis Club. At this meeting, club president Greg Parker presented a cheque for $5000 to Food for Learning. These funds were the proceeds from the Kiwanis’ annual golf tournament and will be used to support student nutrition programs in Trenton area schools.